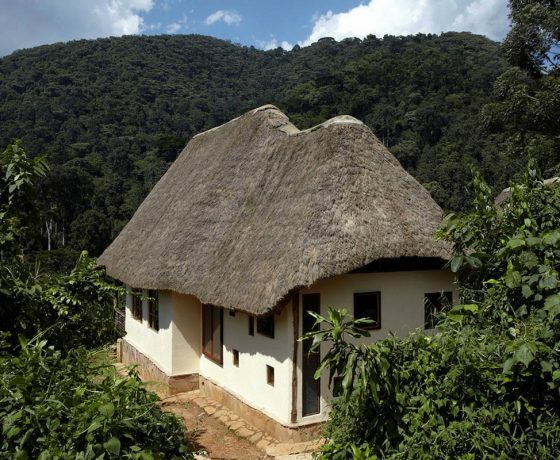 Volcanoes Lodge at Bwindi is on the edge of Buhoma village alongside Bwindi Impenetrable National Park in the far west of Uganda. 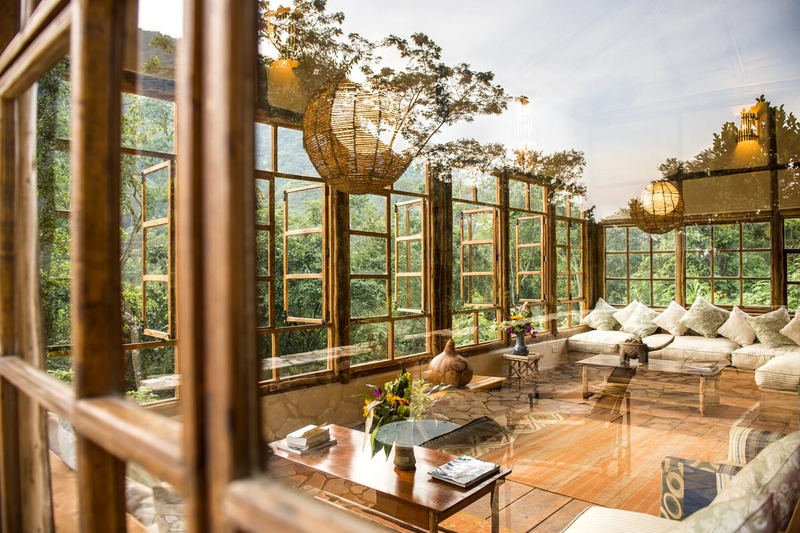 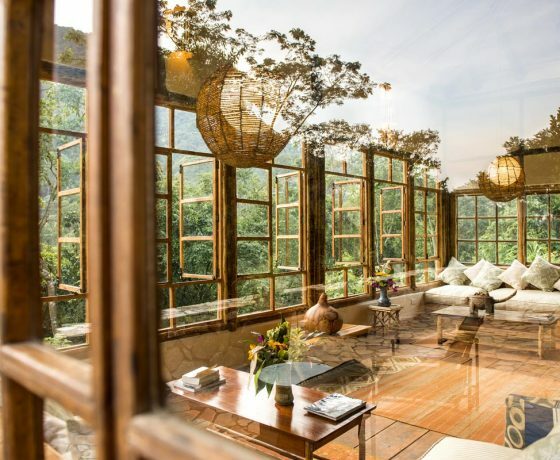 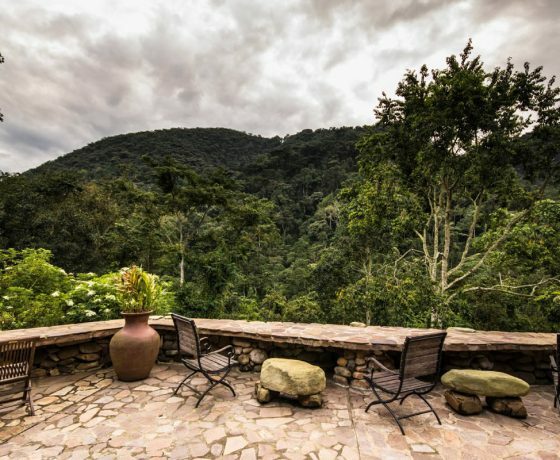 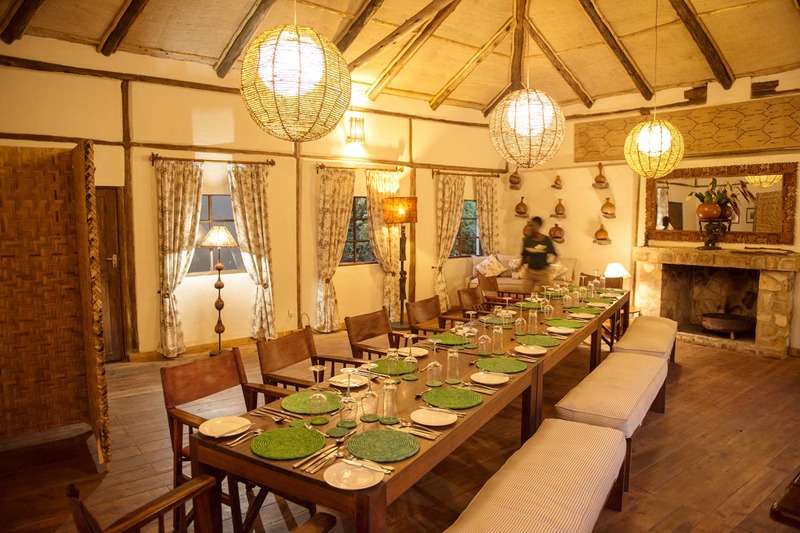 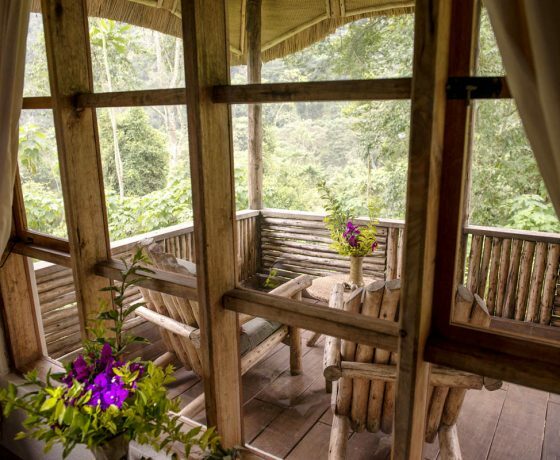 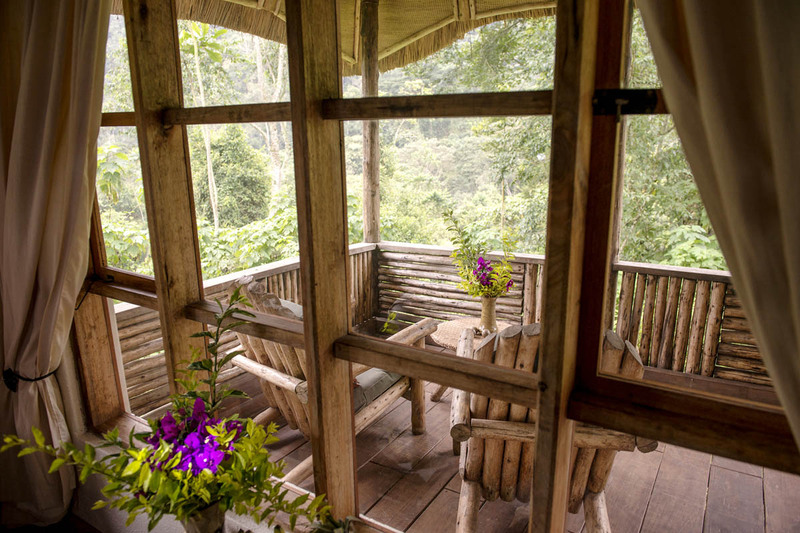 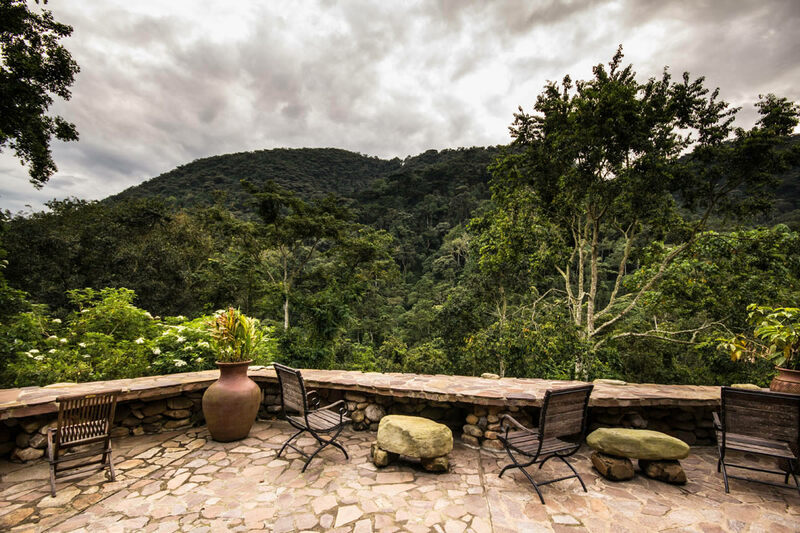 The lodge is set on a hillside above a river, overlooking lush rainforest opposite. 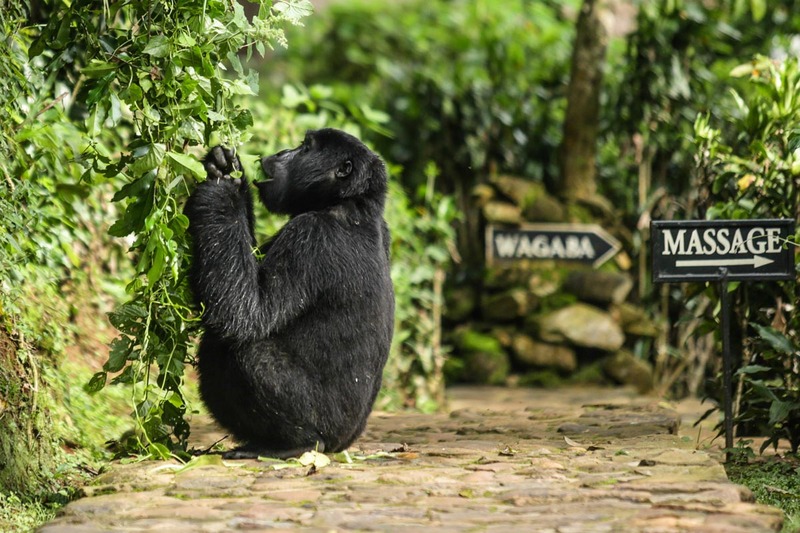 It is the perfect base for visits to the national park and as a starting point for gorilla tracking. 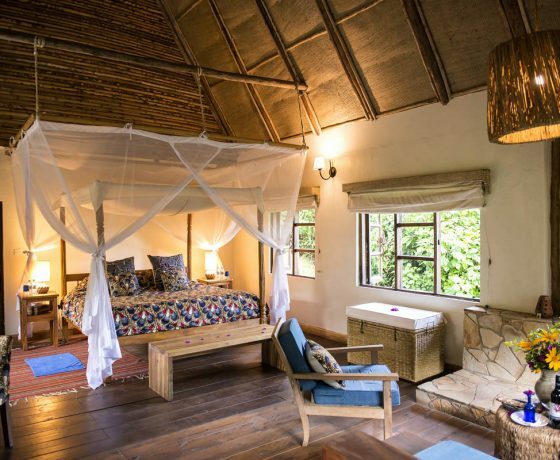 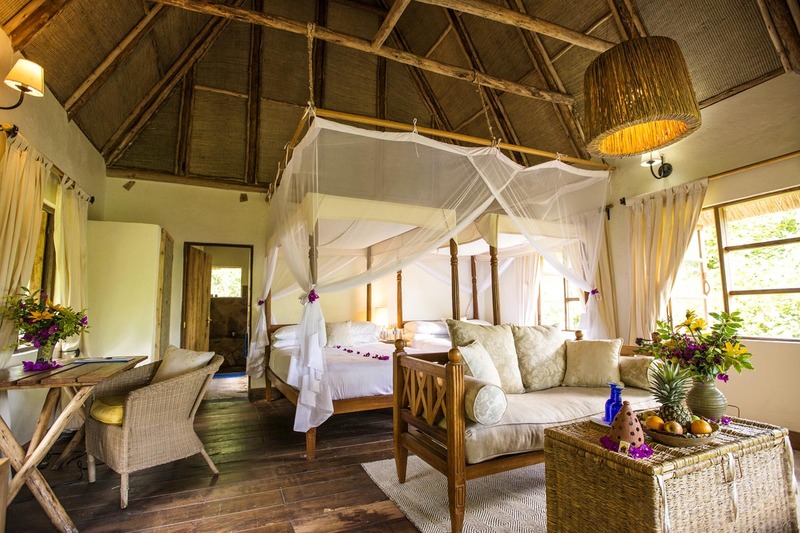 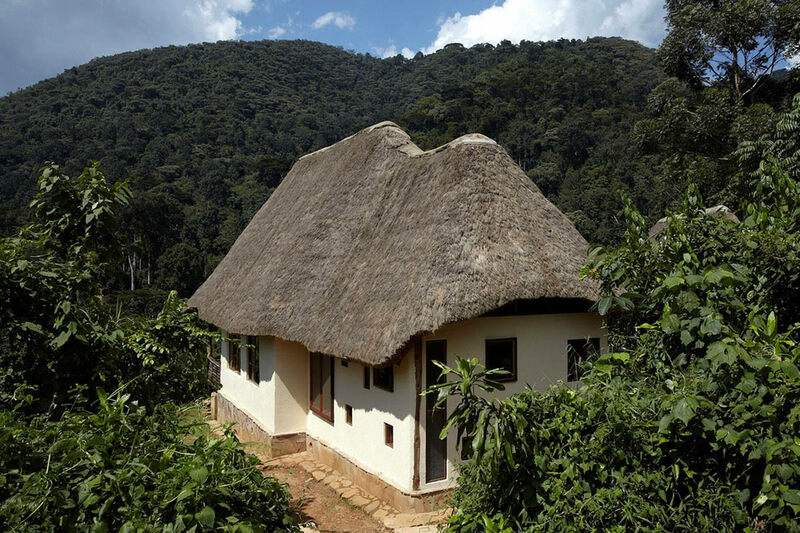 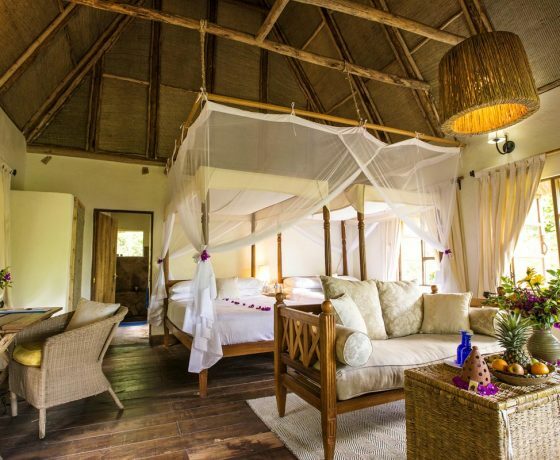 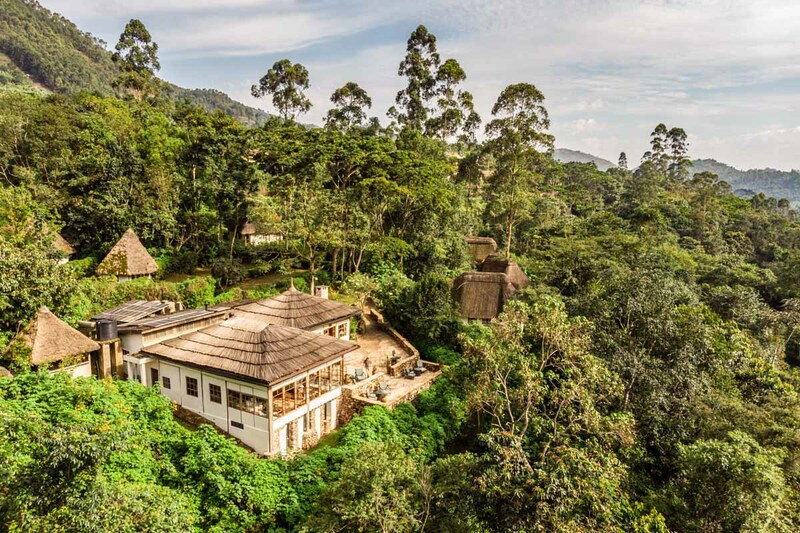 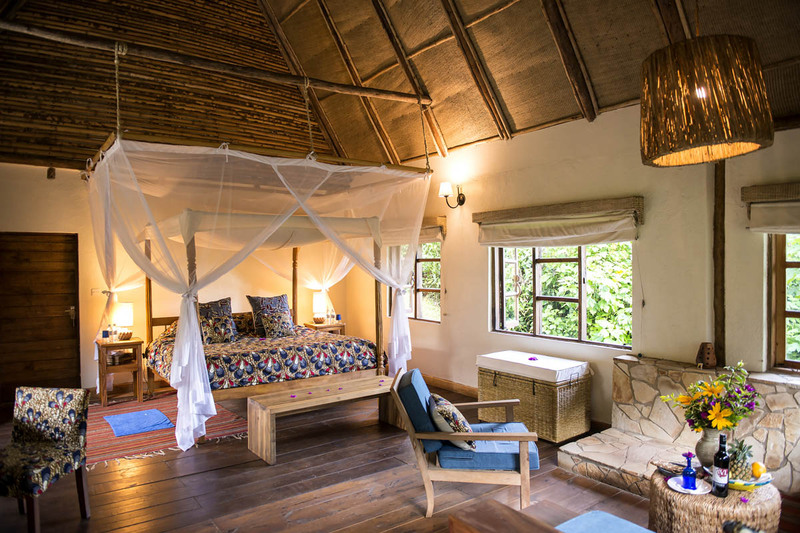 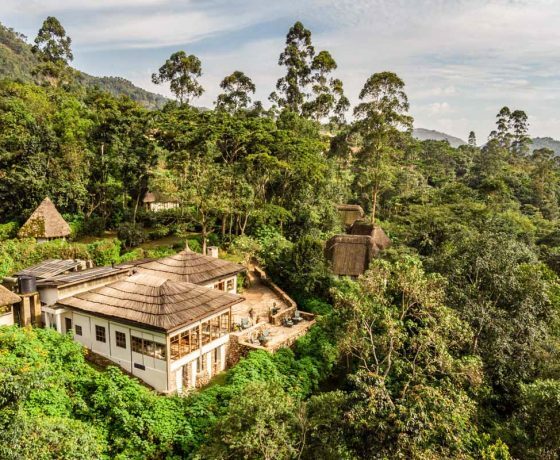 Bwindi Volcanoes Lodge’s accommodation is in eight large beautifully constructed en-suite thatched cottages with running water, shower and a flush toilet. 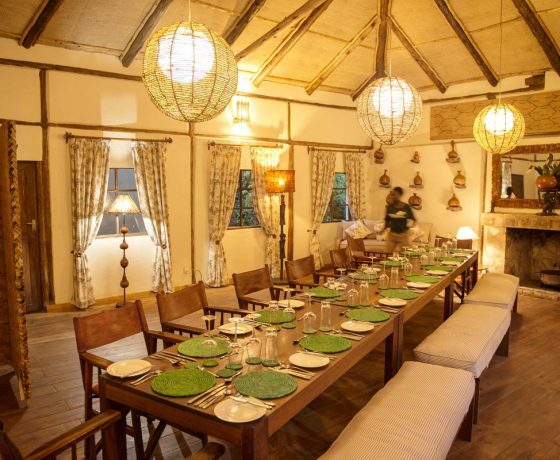 Each of the cottages has its own verandah which, like the bar and dining room, looks across to the forested hillside on the opposite bank. 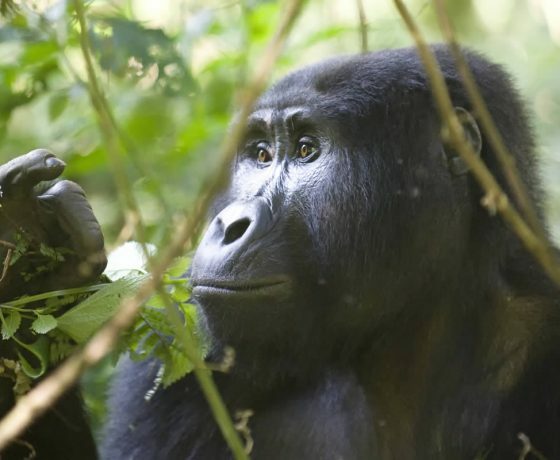 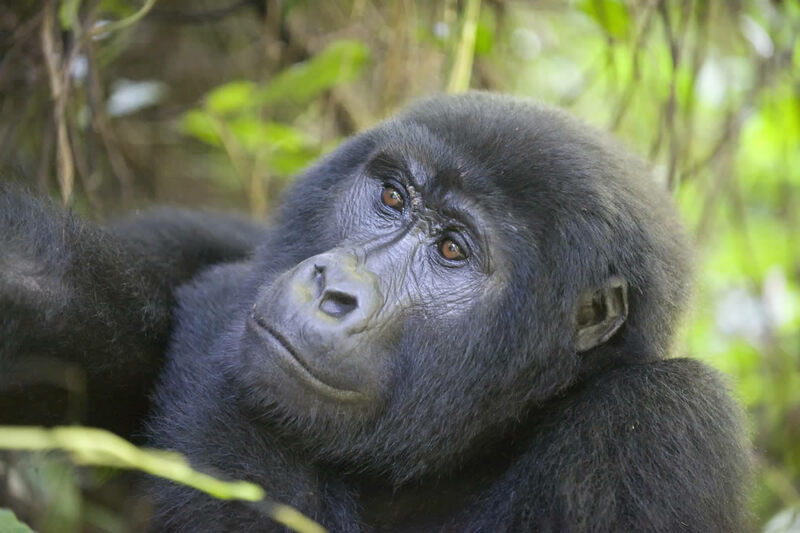 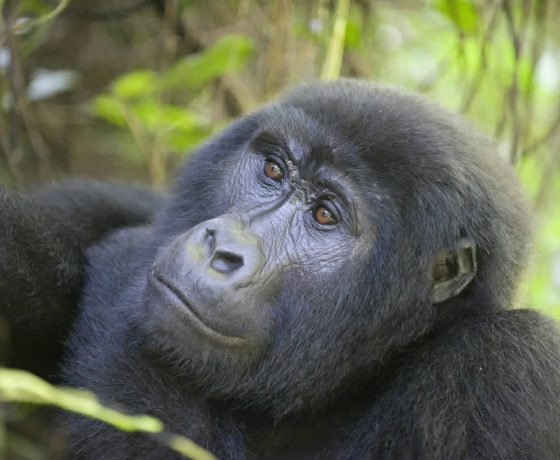 More than half the world’s wild mountain gorilla population is resident in Bwindi, with a number of habituated groups which can be visited as part of the national park’s regulated tracking programme. 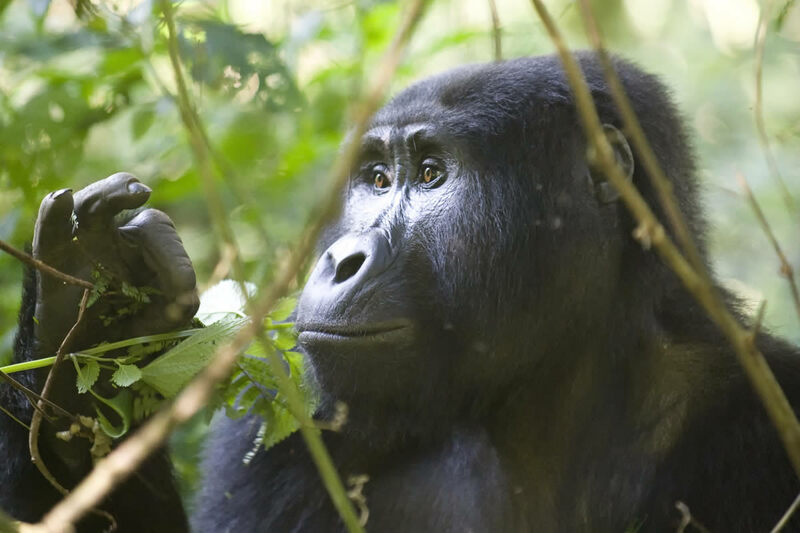 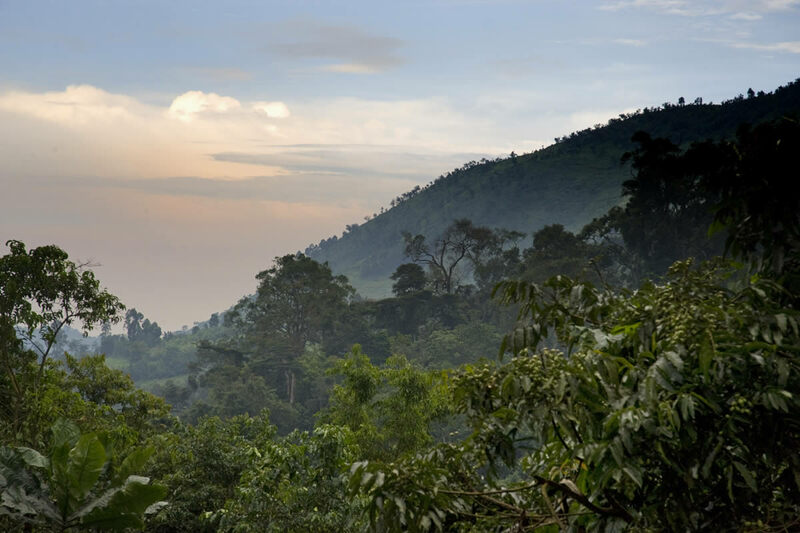 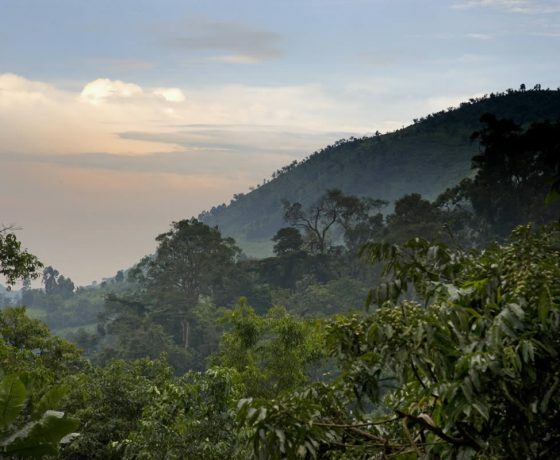 Although this is the reason most guests come to Bwindi the park is home to 93 mammal species, including eleven types of primate, as well as almost 350 types of birds. 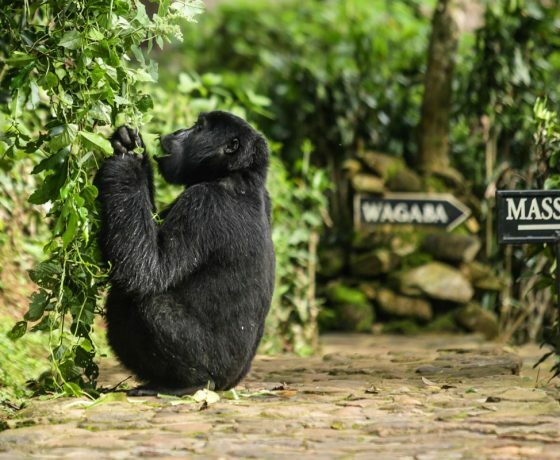 These animals and birds can be viewed on varied lengths of nature walks alongside a knowledgeable National Park’s guide.